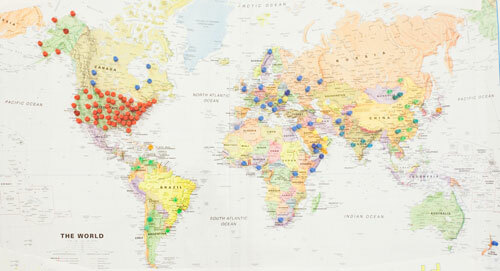 Patients from all over the world visit the Michigan Congenital Heart Center. Pediatric heart conditions are treated at the Michigan Congenital Heart Center. The University of Michigan Congenital Heart Center, located in C.S. Mott Children's Hospital, provides world-class care for infants, children and adults with all forms of congenital and acquired heart disease. Our surgeons perform approximately 900 operations annually and nearly 650 of these are open heart procedures. Since our program began we have cared for more than 20,000 patients, one of the largest groups in the United States. This has enabled us to develop a highly experienced team of caregivers, including surgeons, nurses, technical staff and others. Our faculty have earned international renown for their expertise in treating even the most complex congenital heart defects. Our program is known for its success in dealing with conditions, such as Hypoplastic Left Heart Syndrome, Tetralogy of Fallot, complex forms of transpositions and many other congenital abnormalities. As a result, physicians refer their patients to us from throughout this country and around the world. Combined with the resources of the University of Michigan Health System, we are able to provide excellent care from diagnosis through treatment. Our Pediatric Cardiothoracic Intensive Care Unit and step-down unit are staffed with specialized physicians and nurse practitioners to provide the highest quality of patient-centered care.